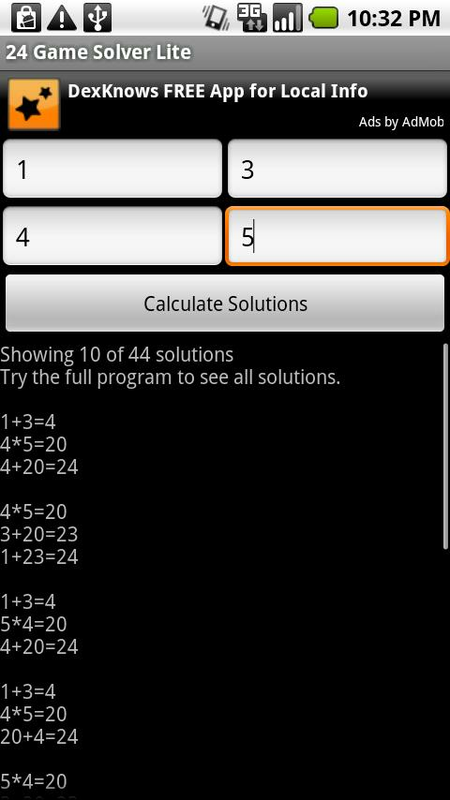 This application solves 24 Game (24 Challenge) cards made by Suntex International Inc. 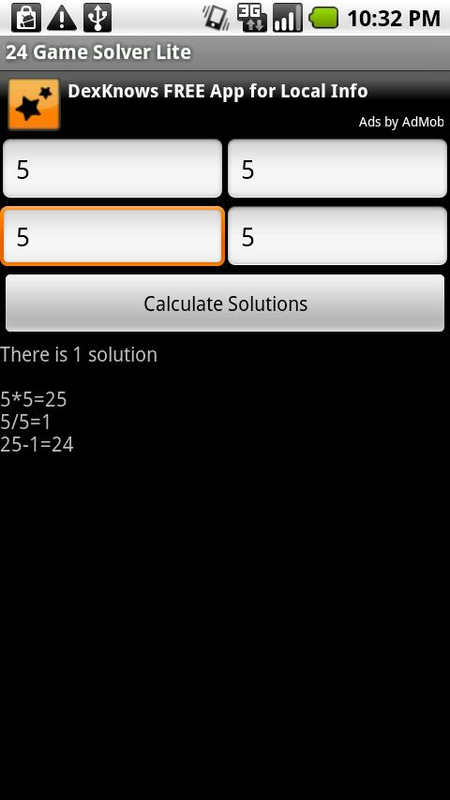 The 24 Game uses addition, subtraction, multiplication, and division to reach the value of 24. The paid version reveals all possible solutions and removes all advertisements. This application is in no way affiliated with Suntex. Make sure your nutrition is perfectly balanced. Get daily meal recommendations based on FDA data.